This is better than U2's new album. The backlash around U2's 13th album continues in the week since Apple slipped Songs of Innocence into roughly 500 million iTunes' users libraries free of charge. New Yorker pop critic Sasha Frere-Jones said the band shouldn't "shove your music into people's homes"; the Washington Post's Chris Richards called it "rock-and-roll as dystopian junk mail"; Odd Future leader Tyler, the Creator said finding the album on his iPhone was, "Like waking up with pimples or herpes." A couple days ago Apple introduced a tool specifically designed to remove Songs of Innocence from users' iTunes accounts. And yet according to the Telegraph Apple issued a statement today saying 33 million people downloaded, streamed, or listened to the album on iTunes radio, which means that roughly six percent of people who had access to U2's new work bothered to give it a try. That's a small fraction, but still nothing to scoff at. Among the list of criticisms that can be launched at Apple and U2 for their "gift," chief in my mind is the unparalleled reach Songs of Innocence has had and how unattainable it is for every other aspiring musician. Few pop artists wouldn't want their music to wind up in the hands of 500 million people, and U2 accomplished this not because of the quality of their new music but because of the popularity they amassed, releasing several classic LPs long before Songs of Innocence ever came out and, to a lesser extent, the connections they've made through the years. The band is on a whole different level than Jay Z, who smugly passed off his deal to debut last year's Magna Carta . . . Holy Grail with Samsung as an example of the exciting way artists can release music in a new age, branding his move with a "new rules" hashtag as if to suggest anyone could do the same thing. U2 haven't suggested that the cloud-based release of Songs of Innocence is something all musicians can do, because only the biggest band in the world can actually do it. Meanwhile millions of musicians struggle to get their music heard by a small fraction of the number of people who decided to give U2's album a spin. Even within smaller markets exposure can be a challenge—the Chicago hip-hop scene in particular is so saturated with talent that it can be easy to miss someone. This isn't anything new but it further underlines my complaints about Songs of Innocence, or rather its release method. If only so many people were able to access, say, LeekeLee's recent Still Geekin mixtape with the same ease that they could get U2's new album perhaps I wouldn't be so bent out of shape. 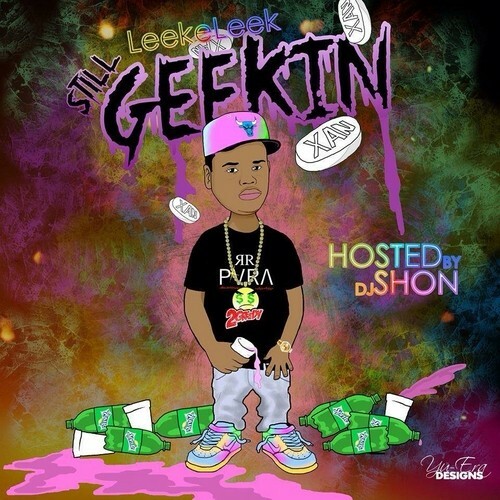 Still Geekin isn't the best mixtape to come out of the area in recent months, but it's good enough that it shouldn't get lost in the shuffle—as I fear it might. By all means that might not happen—it came out less than a month ago and it features a couple drops from local rap figurehead King Louie. 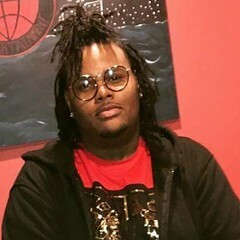 Even though Leekeleek has been making a name for himself as a producer it's easy to lose track of Still Geekin while keeping up with new releases. I might've let this one slip by without ever covering it, even though I'd experienced the joy of blasting the irresistible "Banana Boat" at an end-of-summer BBQ, but U2 gave me the opportunity to reflect on a release that deserves a little more attention.